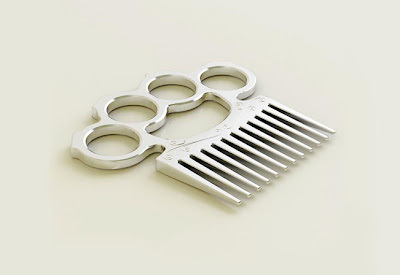 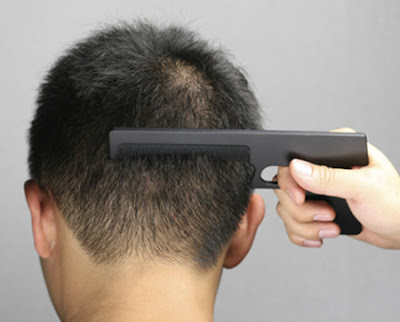 Collection of ‘Creative and Cool Comb Designs' from all over the world. Switch Comb: It measure 9" long, made of metal with a plastic comb; push of a button, you get the comb as it swivels out from the handle. 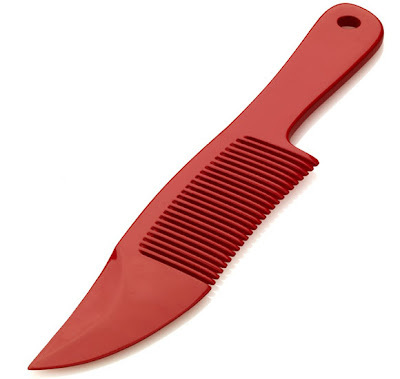 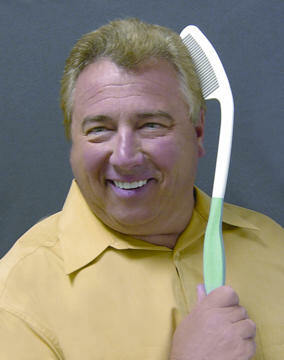 Comb-At and Combmando: The red comb called 'Comb-At' is designed by Italian designer Lorenzo Damiani. 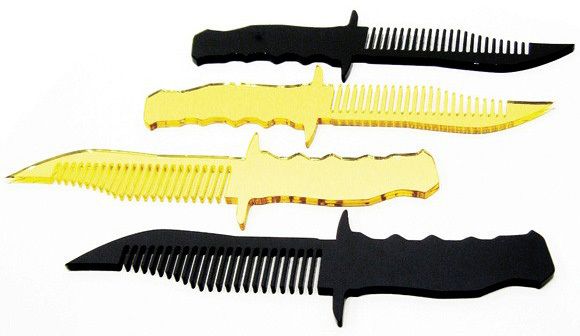 And the black/yellow combs called 'Combmando' is the creation of Studio Studiobo. Knuckle Comb by Kosmos Project: A gadget for fashionable women that combines protection and elegance in to one. Fine Comb: Styling your hair in public with this comb can surprise people around you. 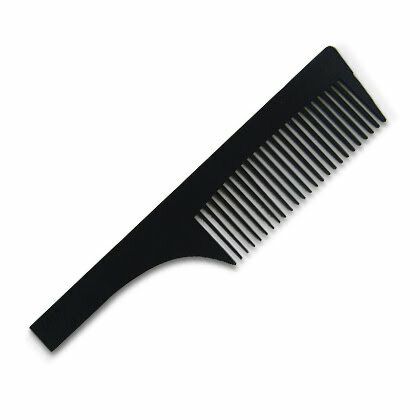 Once Was Comb: "We are so used to some everyday objects that sometimes we don't realize what's behind them, where do they came from." 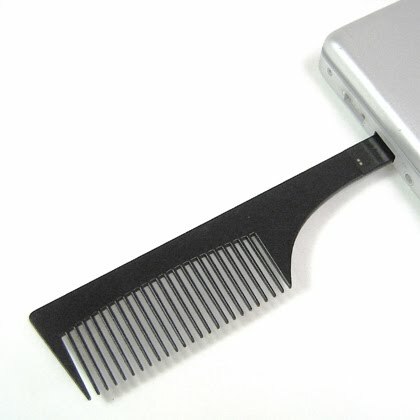 Comb USB 2GB Drive: It's a combination of hair comb and USB drive; it allows for easy reach of data and can be placed in your jeans. 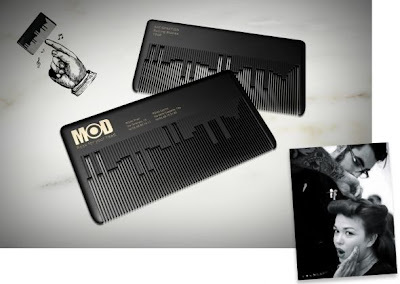 Musical Comb Business Card: Modhair, a Rome Rock 'n Roll hair salon needed a creative and interesting business card. 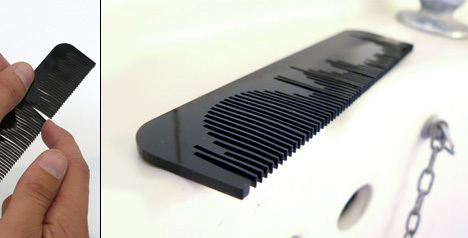 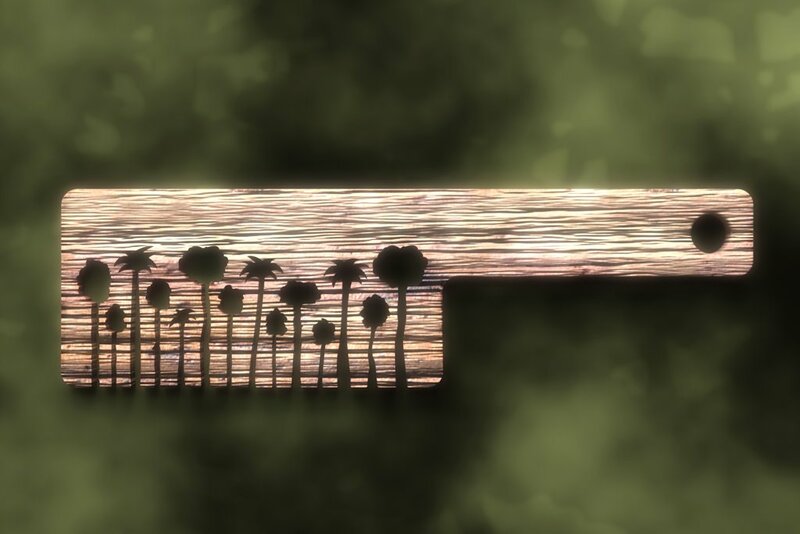 Using the same principle of a music box comb, this comb plays a classic rock theme when rubbed by fingernail. 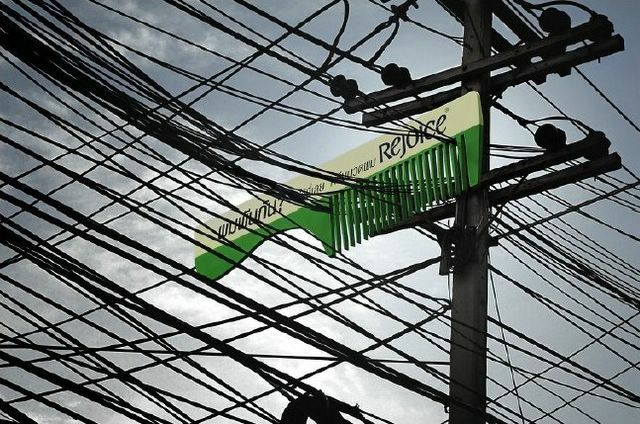 Rejoice - Huge Comb for Tangled Hair: Advertisement created by Leo Burnett Ad Agency for Rejoice Conditioners. 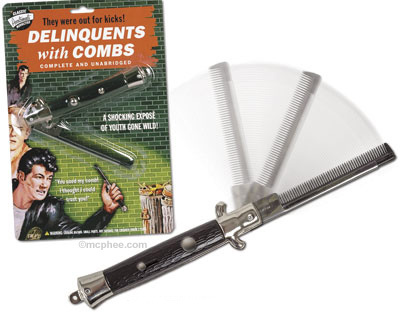 The message on the comb, reads - "Tangles? 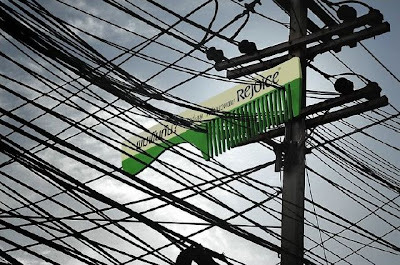 Switch to Rejoice Conditioner."